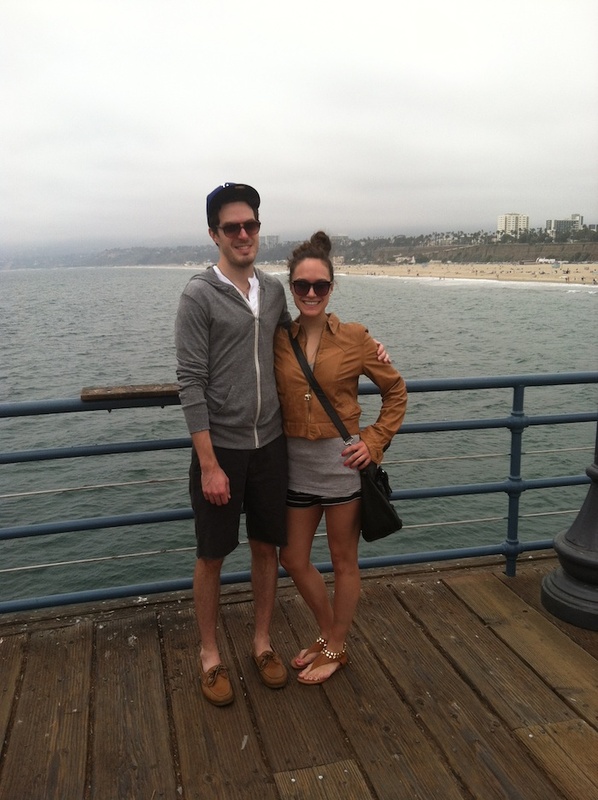 A dreary day at the Santa Monica Pier with my fabulous brother. It's funny how our styles have evolved so closely even though we haven't lived in the same state since I was in high school. It's eerie really; we even end up buying the same albums without knowing it too. Love him. I'm wearing a leather jacket by Mike & Chris, tank by Vince, shorts by Joie, sunglasses by Elizabeth & James, and shoes by Tory Birch. The elephant necklace is from J. Crew and has quickly become a staple, and the bag is Balenciaga.